The “right tool for the right job” is a maxim with far greater importance than its cliched tones might imply and this is never more true than in the selection of the “right” window sills for your build project. 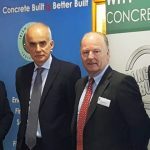 Killeshal have the widest range of precast concrete window sills and an expert technical sales team that will help with specification and design. Window sills are amongst our core products here at Killeshal and have been since the beginning, almost half a century ago. We now offer window sills in precast concrete, natural stone, and reconstituted cast stone, with types to suit just about any application imaginable. That includes stooled window sills for use in buildings with a brick outer leaf (as pictured here with inset). Window Sills perform both structural and aesthetic functions; they provide the structural seating for window frames and prevent water ingress. 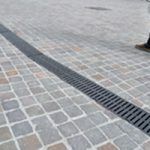 They also work to to prevent mortar erosion and staining of the outer leaf material, being sloped outward to direct rainwater water away from the window frame and featuring water drip channels on their undersides. The Killeshal team have a long history in the design and specification of window sills and because of this we have built an incredible range of window sills. Click on the image here to see a larger version for a sample of our very diverse range. 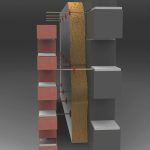 Killeshal’s range of precast concrete window sills includes types that are designed to work within timber frame buildings and we also have a selection of stooled window sills that we produce, designed specifically for use in brick structures. Ever mindful of the need to ensure that window sills sit comfortably with the building’s aesthetics, we can match most sills with an appropriate choice from the Killeshal String Course Range (click here for String Course). As always, the team here at Killeshal is quite happy to discuss your requirements and including customisation/modification. Contact the team at Killeshal to see how we can help you get the best Precast Concrete Window Sill to suit your project specifications. Click here for our Precast Concrete Window Sills products page.